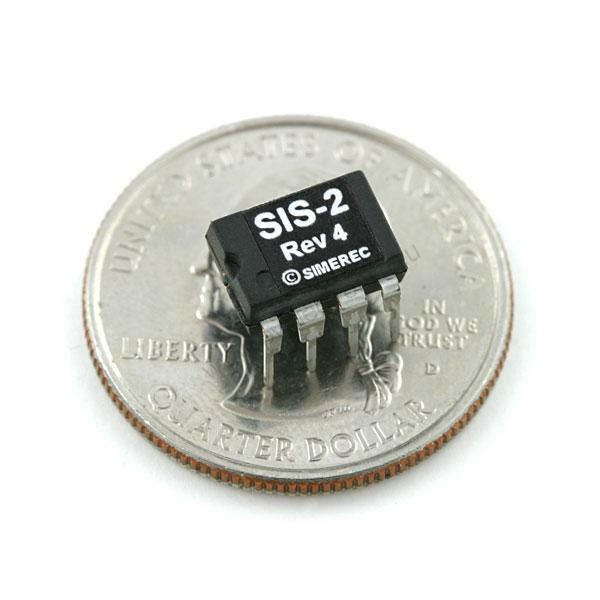 Description: The SIS-2 monitors an IR receiver, and when a certain remote code is detected, an output pin will toggle. 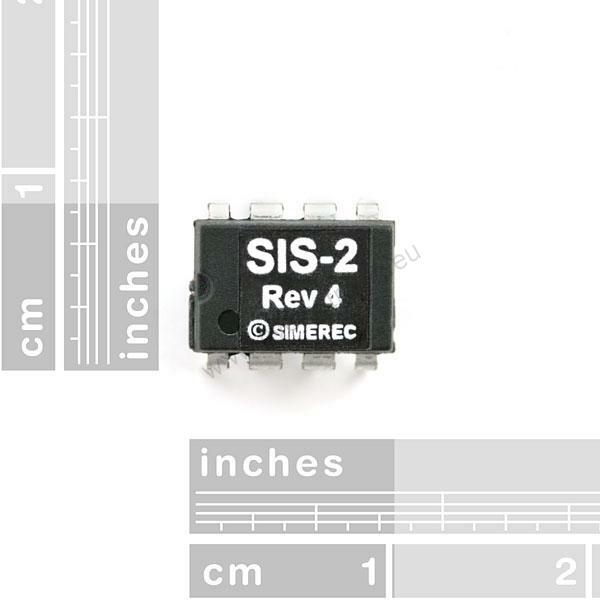 Two outputs are available and any code on any remote can be taught to the SIS-2. This makes it simple to implement an infrared (IR) remote controllable switching solution for a wide variety of applications. 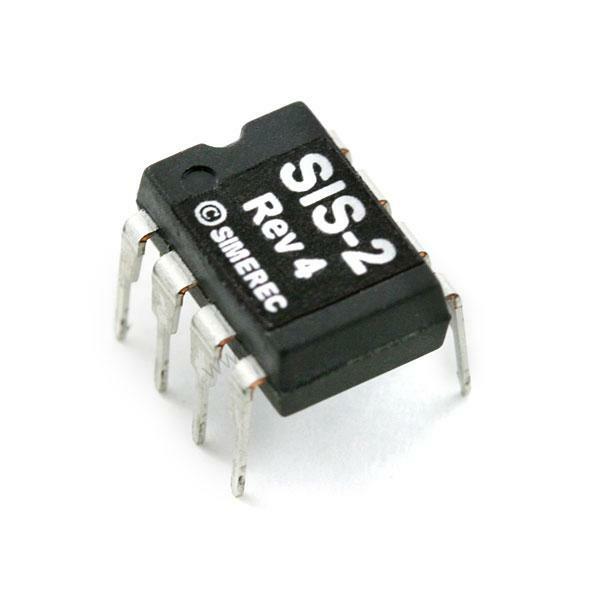 When used with an inexpensive IR receiver module, the SIS-2 recognizes IR signals from 2 independent IR remote control sources, and provides 2 modes of switching for your application. The IR sources can be from the same or multiple remotes. Works with over 99% of IR remotes, both universal and dedicated types. IR code is easily “taught“ by user with a few simple button presses on the IR remote. 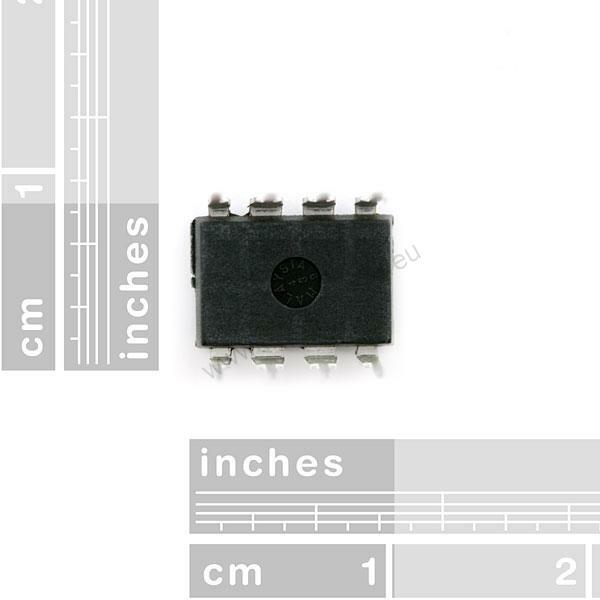 IR code is stored in non-volatile, re-programmable memory. Applications include switching and on/off control of two sources, volume control, digital pots, and servos.